It’s not uncommon for boilers to experience a loss of pressure, but it may be an indicator of some of the most prevalent underlying boiler issues. It’s relatively easy to diagnose low pressure and it may even be possible to correct the pressure yourself, depending on the make and model of your boiler. Here’s a guide to working out whether your boiler is losing pressure and the steps to take in order to put it right. Most modern boilers have an easily readable water pressure gauge. 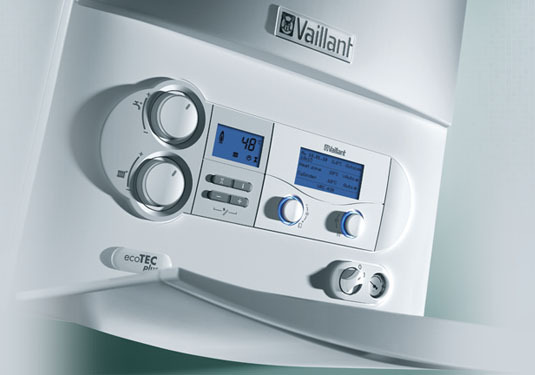 Yours is likely to be on the front of your boiler. Most boilers are set around the 1 bar. Some will show the original position set by the installer using a red needle indicator. If your boiler gauge shows a loss in pressure, check it regularly and keep an eye on it. The problem may only be temporary and self-rectifying, but if it drops repeatedly this may suggest that your boiler is in trouble. It may be that your boiler system has a leak. Alternatively, you might have just bled your radiators, causing a sudden loss in pressure. The latter may fix itself, but if you have a leak you will need to take action or the pressure will continue to drop. This may affect your hot water provision and heating, and could even lead to breakdown. There may be instructions in your manual regarding low pressure. If so, there may be a way to easily restore the boiler pressure yourself. Alternatively, there may be instructions at the rear of your boiler’s control panel. It’s important that you don’t use any tools to remove the panel or to change the pressure. If you can’t fix the problem without using tools, call a boiler specialist. Tampering with your boiler could be dangerous and may also make the problem much worse, leading to greater expense and disruption. DHS is an established boiler servicing company based in Bristol. If you are experiencing low boiler pressure, give us a call. We can help to increase the pressure and check for underlying issues using our proven expertise and top-of-the-range equipment. Our engineers are fully trained and experienced, so they will get to the bottom of the problem quickly, ensuring that costs are minimised and that your boiler continues to work efficiently.